As Southern Europe is getting ready to go on holiday, here are some tips for those of you planning on spending some time yachting in the Med. Pack lots of colourful swimwear – you will spend most of your time lounging around the boat, going from tanning to swimming and back to tanning. This will be your most used item so we suggest you choose wisely and pick something that you can dress up or down, you want to be looking good in your swimwear if you will be practically living in it! 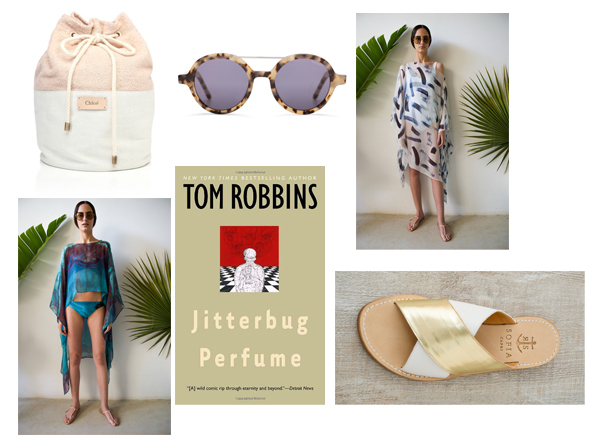 Good yacht style is about versatility, you want something that looks relaxed and simple for lounging on the deck but fun and chic for long lunches at those stylish Mediterranean beach clubs. The CGA Lola Kaftan in pure silk chiffon looks casual when worn over swimwear but elegant and graceful when dressed up, it’s a must have. Last but not least, choose a good book. You’re on yacht, peacefully disconnected – it’s probably the only chance you’ll have all year.